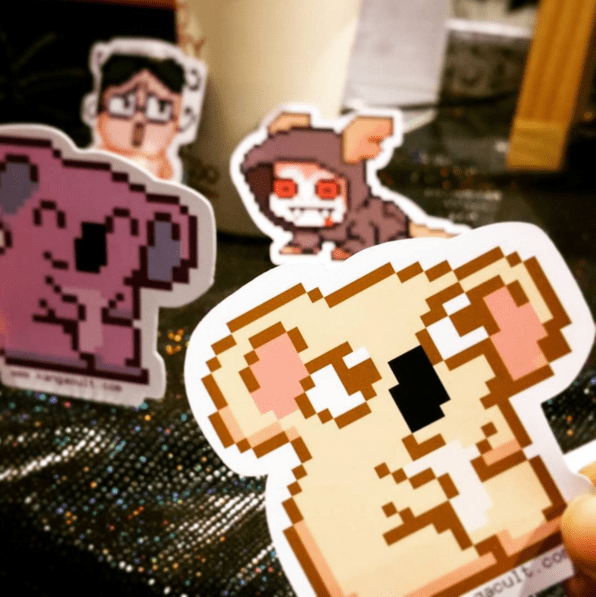 Oz Comic Con Adelaide wrap up! the kid who was pulled away by his mom because he was too into our game. just the reaction people have when playing our game in general. Here is a photo of my humble setup, after I had sold out of one print and had to take it off my backboard. It had been awhile since I last did a convention, I had even forgotten how to make a badge for a moment. 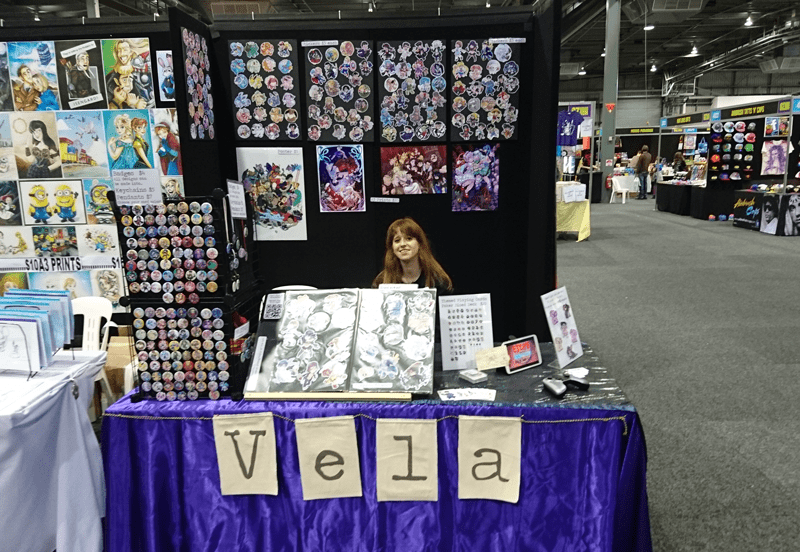 Asides from a few awkward mistakes making change (hey I have an artists’ brain ok), the whole convention went rather smoothly (mostly thanks to my friend and handy helper Andrew). I realised that I finally used up all my clear sealable tiny bags for sticker and badges. I had bought a 1000 of them in a pack a few years ago. So yes, that means I’ve served 1000 people since around 2013! (more or less, since there’s also a lot of loyal repeat customers in there) Kinda amazing to think about. Once again thanks to everyone who bought something from me or played our game. It helps me keep making art and more cool things. Hopefully we’ll be doing Oz Comic Con again next year!